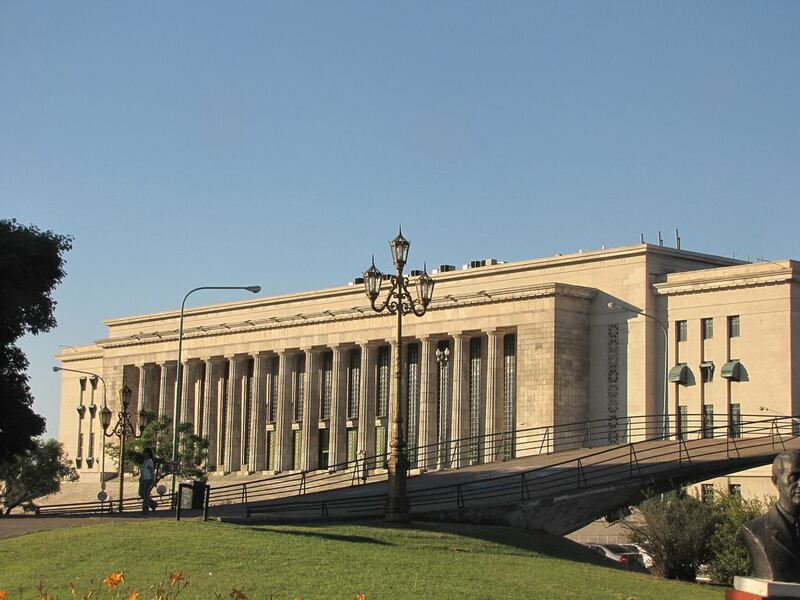 The capital of Argentina has the full right to be called the liveliest city in South America. Life here does not stop even for a second. Corrientes Avenue is the place where tourists will find numerous cafes, kiosks, theatres, and shops. All of them are opened from morning till night. Even buses go there without a night pause. Buenos Aires certainly has European charm – this city combines the spirit of Paris, Rome, and Madrid. However, there is nothing surprising in this fact - the majority of portenos (native people use this word to call themselves) originate from 'the Old World'. Buenos Aires has a population of almost 3 million people, but if we take into account the population of the city’s suburbs, then the figure will grow to more than 12 million. The Obelisk. The enormous Obelisk located at the intersection of 9 de Julio and Corrientes avenues is, without any doubt, the most famous monument in Buenos Aires. This is also the symbol of the city. The monument was created in May 1936 in order to honour the 400th anniversary of the foundation of the city. The Obelisk is located in the centre of the Plaza de la República. The first Argentina flag is also located here. The Obelisk is 67 m tall and its square is approximately 49 sq. m. Not far from this monument you will find Jorge Luis Borges' House. 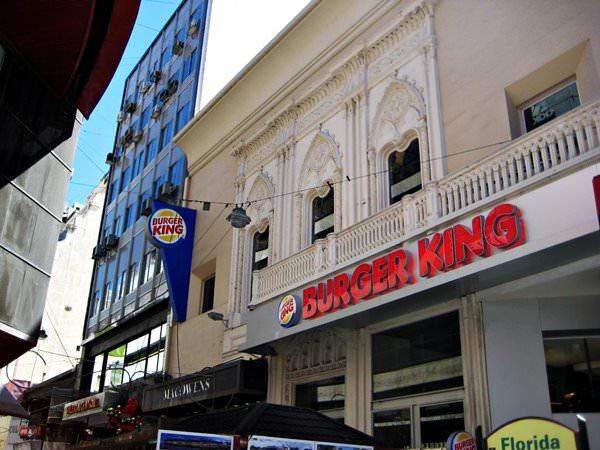 The best shops in Buenos Aires can be found in Calle Florida Street, which is, by the way, a pedestrian zone. However, the street, which is home to numerous boutiques and shopping centres, will be of a great interest not only because of its shops, but also because of its architecture. San Telmo. Once San Telmo, the oldest district in Buenos Aires, used to be the place, where the elite lived. In 1870, during the epidemic of yellow fever, the aristocracy left San Telmo and moved to the north of the city. A lot of emigrants rushed into this area and the houses of the rich were turned into «conventillos». In 1970 some of these historical buildings were restored. Nowadays, San Telmo is a picturesque area with antique shops, Colonial architecture and plenty of ancient churches (for example, San Pedro Telmo). Some streets are still cobbled. Visiting San Telmo on Sunday is a great idea, because on this day Plaza Dorrego, the heart of the district, turns into a flea market and the streets are crowded with jugglers and tango dancers. Travellers, who are fond of tango, should definitely visit famous tango cafes, such as El Viejo Almacén, Michelangelo, La Casa Blanca and La Casa Rosada. Puerto Madero. Puerto Madero is located on the bank of the Rio-de-la-Plata. This is a former port area that was built in 1888-1897. Currently, this is the most modern entertainment area in the centre of the city, where one can still feel the charm of the port. Nowadays, former docks have been turned into restaurants and shops. If you want to have a nice walk, eat tasty food and enjoy wonderful shopping, Puerto Madero is definitely the place you need. La Boca. La Boca is the most outstanding district of Buenos Aires. It was built by Italian immigrants along the Riachuelo, a meandering canal. Many years ago numerous storehouses and meat-processing factories were situated along the banks of the canal. Nowadays, La Boca is mostly famous for its original houses, which were built from tin and were painted in bright colours. Different art works are displayed for sale virtually everywhere. This is the place where one can find a lot of souvenir shops, beerhouses and restaurants. The influence of the Italian culture can be felt right at every step here. The special atmosphere and beautiful views of La Boca attract hundreds of tourists every day. This guide to iconic landmarks and sights of Buenos Aires is protected by the copyright law. You can re-publish this content with mandatory attribution: direct and active hyperlink to www.orangesmile.com. Check on the map: Distance from Buenos Aires center - 10 km. All about Buenos Aires, Argentina - sightseeings, attractions, touristic spots, architecture, history, culture and cuisine. Prepare your trip together with OrangeSmile.com - find out the 'must see' things in Buenos Aires, which places to visit, which excursions to take, where the breathtaking views are waiting for you. Planning your trip with this travel guide will help your to get the most out of Buenos Aires in few days.